Siyuan can provide over 80 different types of packaging systems for our customers to choose from which can be applied in food, health care products, chemical and medical industries. There automated packaging machine can be equipped with different weighing methods according to different materials to be packed. We choose a piston weigher for liquids and sauces; volumetric weigher or electronic scale for granular products and automatic weigher for powder products. The packaging system produced by Siyuan can realize packaging for the following granular materials: drying agent, granulated sugar, coffee, coffee mate, peanut, traditional Chinese medicine, melon seeds etc. For the packaging of free flow granular materials like powder, vibration equipment is generally required, so that the granular material can flow into the packaging machine more smoothly. 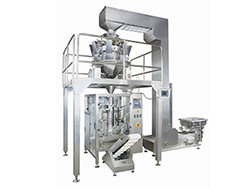 Normally, the granule packaging machine is equipped with the standard configuration stainless steel distributor. This unit will easily crash the nuts. 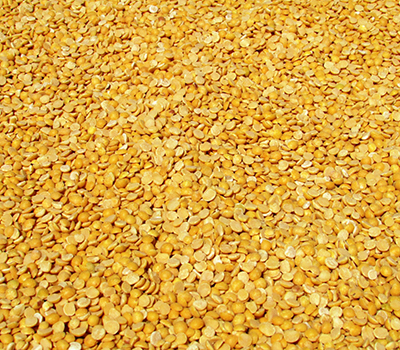 So it is replaced with a brush to realize material distribution to avoid material crushing. Materials of this kind can adopt integrated packaging machine such as SYK-240 packaging machine, SYK-300 packaging machine. The speed is generally 40-60 bags/min. 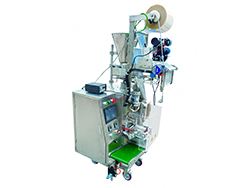 But for packaging of nuts, the recommended machine is multihead weighing vertical form fill seal machine of which the speed is 70-90 bags/min.